the one that’s always within easy reach! Whether you’re at home or on the move, the LiveIn2 app lets you control your home’s devices with a smartphone or tablet and customize your installation according to your needs. With the Equipment menu, you can control your devices directly or with customized groups. With Scenarios, you create a sequence of orders on several devices you can perform using the app but also using a dedicated central control point. With the Clocks function, you can even automate the opening and closing of your shutters and no longer have to worry about them! On products equipped with BHz feedback technology, you receive continuous information on the condition of your equipment. Opening / closing by remote control; even if something unexpected happens, close your home up at night. If you are not at home, your schedules operate to make it look like you are. In winter, the shutters close at nightfall thanks to the dusk function. 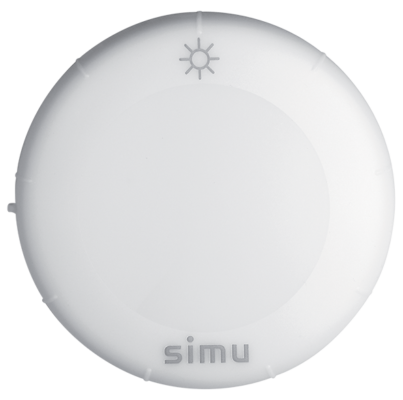 The addition of the BHz exterior sun sensor means that you can now create conditions for automating your shutters depending on the level of sunlight. More coolness in summer! At any time and without worries, thanks to wireless radio technology, add new compatible equipment in your home. Discover all the possibilities in the section “customize” … and let us guide you with our video tutorials! Once your equipment is configured individually, you can control it with flexibility … discover how. LiveIn2 is compatible with two ranges of products whose the BHz range to enjoy the benefits of information feedback … discover which. 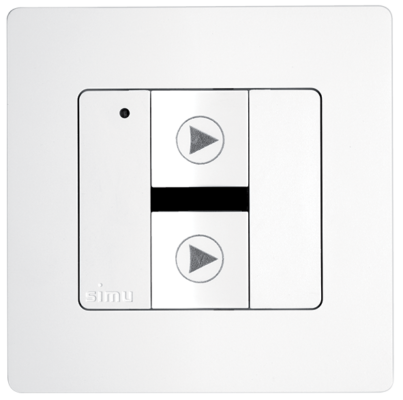 The solution LiveIn2 offers you the possibility to add a wall transmitter that will allow you to centralize the order of 2 scenarios that are set in the Livein2 app … Discover how. Thanks to the clocks function, you can create weekly programs and no longer worry about your equipment on a daily basis … Find out how. For more information, refer to the complete manual to download or contact us. 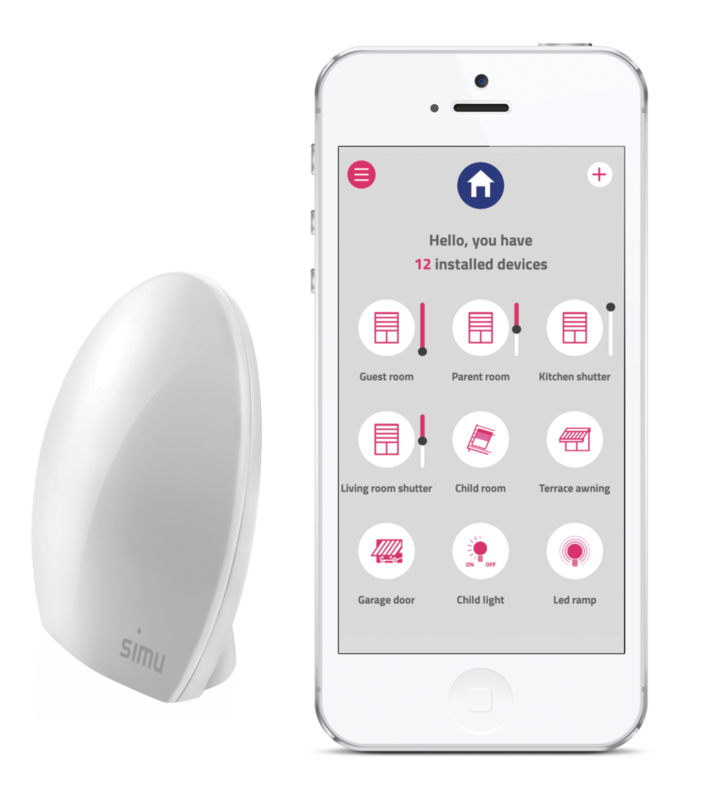 SIMU helps you in discovering and customizing the LiveIn2 solution. Live a connected experience with simplicity and peace of mind! 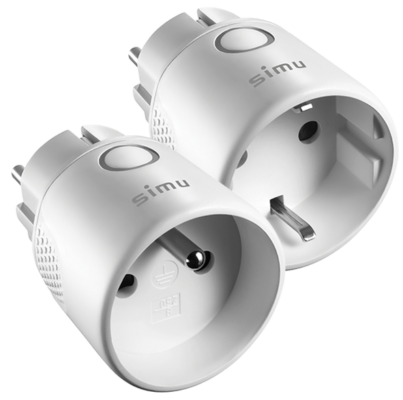 SIMU designed the LiveIn2 solution to be the easiest to resell and install. You will be able to make a LiveIn2 installation from the mobile application in complete autonomy, without having to create an account. An installation mode flexible to allow the installer to manage all installation cases. Help screens to assist in the configuration of devices and possible problem solving. I authorize the use of my personal data which is knowingly communicated above and according to the legal notice of the General Data Protection Regulation described in the legal notice section of this website.